We invite you to explore the Community that is Odd Fellowship. Our lodge is a family of brothers and sisters working to build a world that we want to leave to our children's, children's, children. We offer: A unique environment of caring and supportive folks to learn and grow with. We strive to become better people. Odd Fellowship is a way to support many local, national and international charities. The moment you walk into our Odd Fellowship Hall you will be met with the warmth and comradery that 200 years of our foundational beliefs of Friendship, Love, and Truth have built. 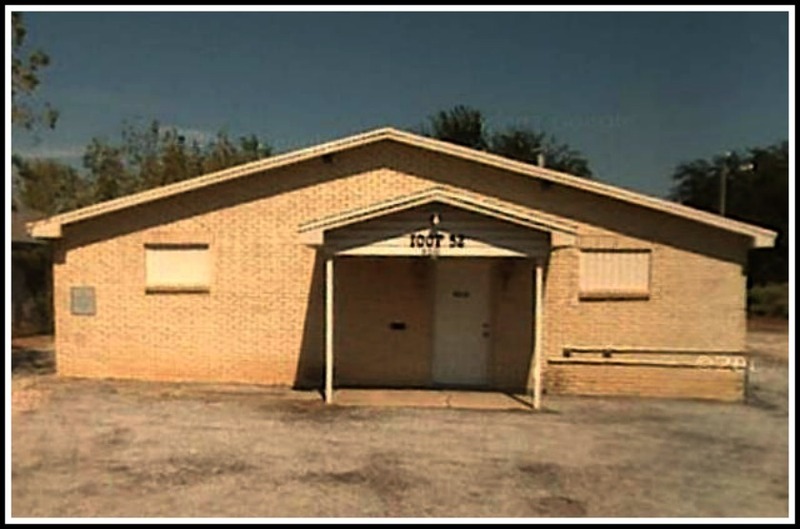 White Settlement Lodge is, amongst other things, a charitable organization that uses much of the money it brings in to give help to worthy organizations, events and individuals. If you are looking for a opportunity to be of service to your community, while enjoying making new friends, there is a place for you in this organization. We seek people of good character that believe we can make a difference in our world. Our Lodge can use your help. The work we do is worthwhile and important. The more active members we have, the easier it becomes to do our work and the more we can take on. We invite you to join in that work by becoming a member of the Lodge. 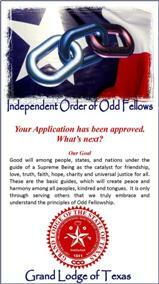 The independent Order of Odd Fellows is a fraternal organization founded upon the principles of Friendship, Love and Truth. These three principles, we believe are essential for the future of our country, our community, our society. Friendship is the strongest bond of our association. As a member you are bound to participate with your brothers and sisters to safeguard our members and families in times of adversity and aid those in distress. Love is the link which requires neighborliness to our fellow human beings, which comes only after all hatred, envy and selfishness have been laid aside. Truth is the standard by which we value people. It is the foundation of our society. United together we can make a greater impact on our community than we can as individuals. We hope you will consider joining us in our effort to make a better community and world. If you would like to join our ranks and become an Odd Fellow or Rebekah; talk to the person who directed you to our website. If you found us through a Internet search and have questions feel free to fill out our contact form. We will be sure to get back with you as soon as possible.